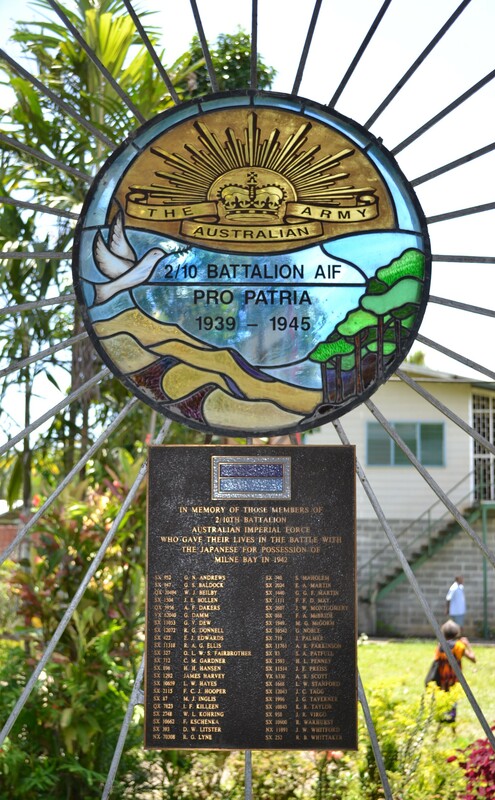 Having just returned from a week in Papua New Guinea, most of it in the Milne Bay Province where we once lived, my Remembrance Day thoughts were focused on all those who served there during World War II and especially during the Battle of Milne Bay. 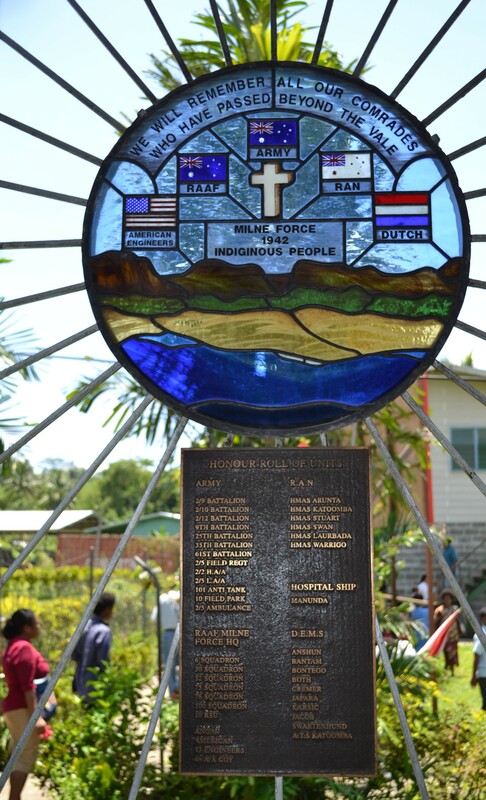 A week ago we visited the Catholic Church in Alotau and saw these beautiful stained glass features which remember those who lost their lives in the district: the battle raged across this area on the north coast of Milne Bay. I thought these simple images were very evocative. The official memorial on the Bay is featured on my other blog today. In honour of the men of 2/9th Battalion. 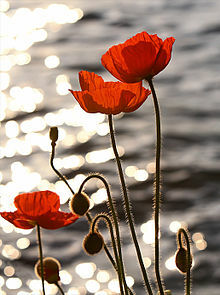 Remembering the fallen of 2/10 Battalion. 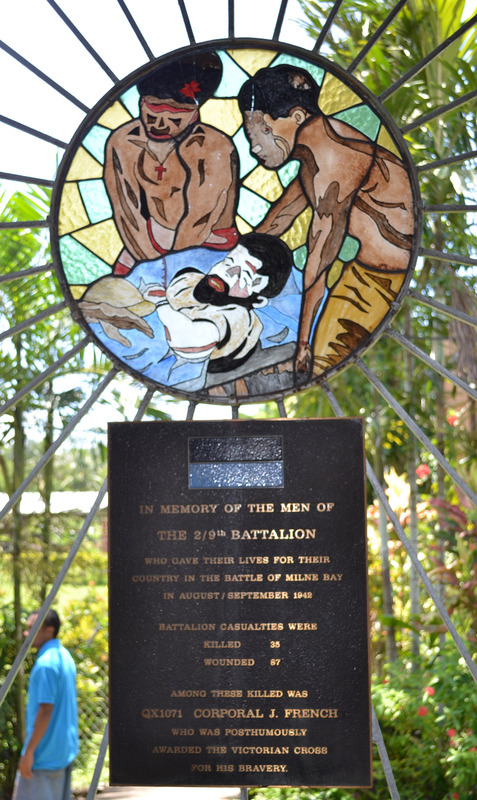 In memory of the men of 2/12th Battalion. 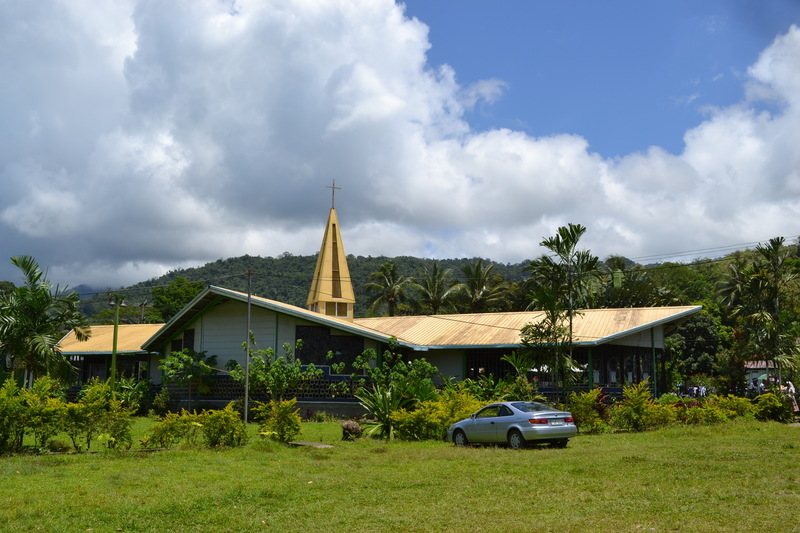 The open-air Catholic church (built c1971-72) at Alotau with its beautiful stained glass memorials. Peaceful in a setting which was once the scene of fierce fighting. 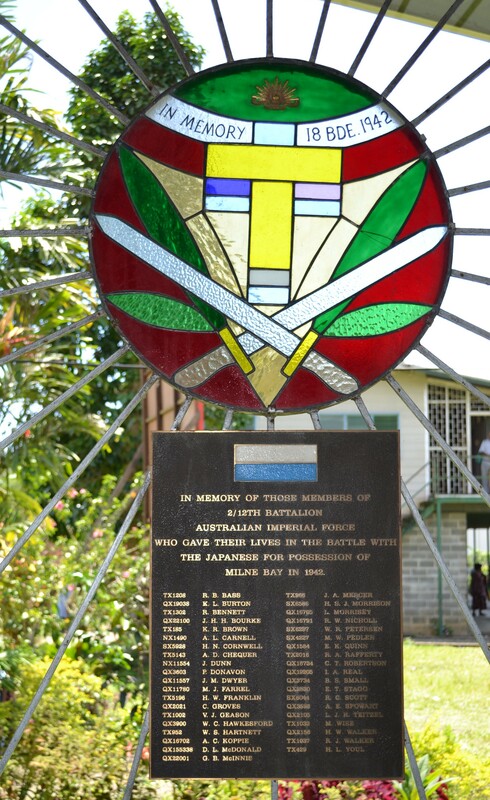 This entry was posted in Milne Bay Province, Papua New Guinea and tagged Battle of Milne Bay, Catholic Church Alotau, Remembrance Day 2012 by cassmob. Bookmark the permalink.